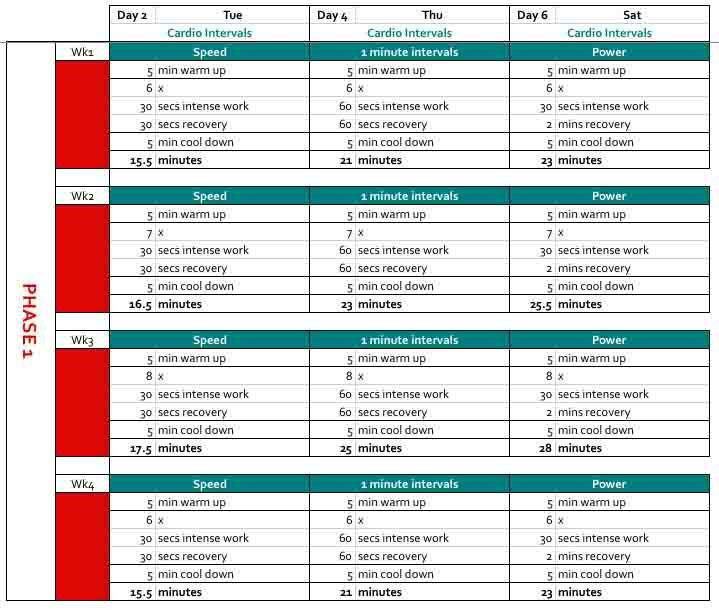 There are three phases and 10 cardio workouts to the cardio side of my Super Lean Regime. Each phase builds on the one prior to it and aims to improve your overall health, stamina and endurance as well as being time efficient and fun (especially if you do it with a friend). 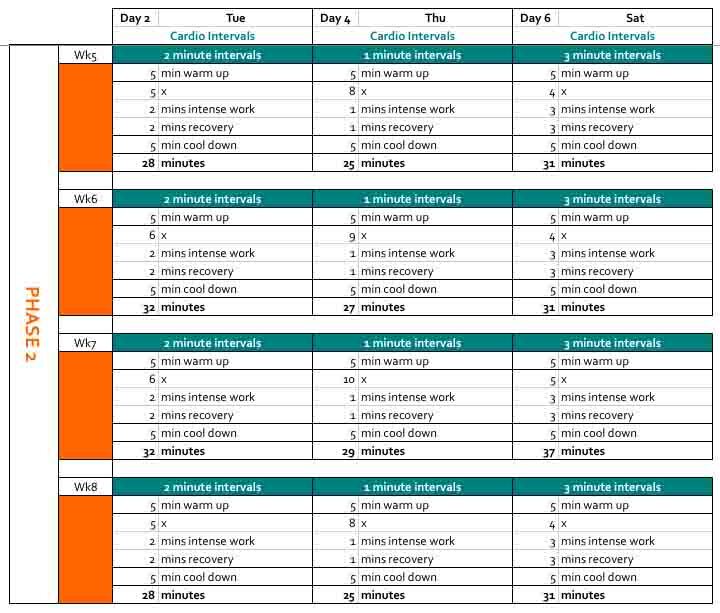 There is a Super Lean Regime Training Plan, and a section which holds all of the resources you can print out for the 12 week period including weekly plans and cardio and strength workouts.